The sprint is a five-day process for answering critical business questions through design, prototyping, and testing ideas with customers. Developed at GV, it’s a "greatest hits" of business strategy, innovation, behavior science, design thinking, and more—packaged into a battle-tested process that any team can use. This is a complete guide for running your own sprint. On Monday, you'll map out the problem and pick an important place to focus. On Tuesday, you'll sketch competing solutions on paper. On Wednesday, you'll make difficult decisions and turn your ideas into a testable hypothesis. On Thursday, you'll hammer out a high-fidelity prototype. And on Friday, you'll test it with real Customers. Solve any problem and design any opportunity in 5 days. Learn the basics of Design Sprint 2.0. in this hands-on workshop, we will fly over the complete sprint in a single day. Design Sprint is a method to respond quickly to major challenges, validating hypotheses in 5 days based on customer usage data. The first day you align yourself with the service, identifying the target on which to build the solutions to select the one to be validated. The sprint design relies on individual work done in groups (Together alone is one of the four core principles of Design Sprint) as an element to draw on the creativity of the entire team, with an approach in which to start doing is better than being right (Getting started is better than getting right is another of the 4 core principles of Design Sprint). Creativity of the designer alone (Don’t rely on creativity is another of the 4 core principles of Design Sprint) that cannot be the only resource of a team, as it would make the risk too high. On the second day, through a structured process, the solution to be prototyped and tested in the subsequent designer phases will be decided (Tangible discussion is the last of the 4 main principles of Design Sprint). The solution will also be articulated so as to be able to more easily realize the prototype to be tested by users in a single day. Creating a prototype to be screened by users for a probative test in one day is the great challenge of Design Sprint. You will learn to define the prototype development perimeter for a probative test, using the principles of Design thinking. The last day of the Design Sprint the prototype is subjected to a direct test of the users. You will learn the most effective strategies for having the test target and the right number of people as well as how to best organize the test with observation. This is a hands-on workshop so you will be experience the Design Thinking spirit and learn a tools you can bring into your daily practice to take team decisions faster and without losing too much time. For all the detailed information contact us. Teams can have privileged access conditions. Contact us as well. What is Design Sprint and what are the problems it solves? How Design sprint helped other teams: cases? 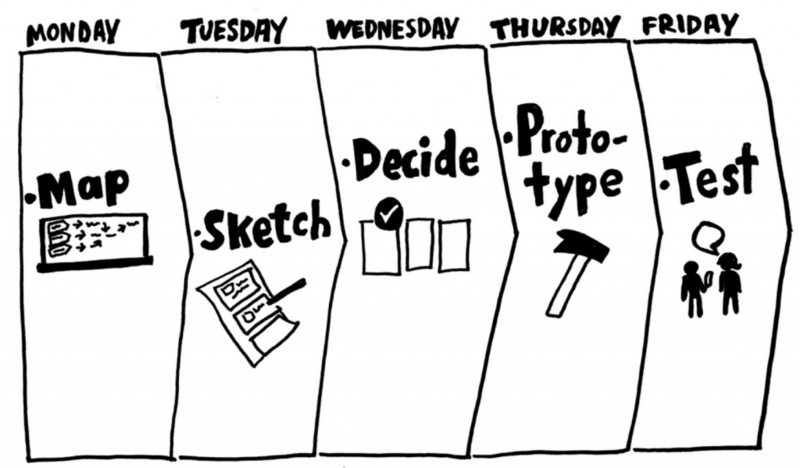 What does the Design Sprint week look like? How to sell Design Sprints? What is moving us forward? Turn top 3 into "HMW"
Intrigued by the DESIGN SPRINT? Feed up by projects that make you live a long time and, without being sustained, they are closed? If you have heard about the DESIGN SPRINT or you want to acquire the basic skills in just 2 days (2 full days, where you will experience the whole process) the Design Sprint Bootcamp is your workshop. In the Design Sprint Bootcamp you will experience the key elements, ask questions, consolidate your confidence in the process and develop the skills to perform your sprints. Eventually you will learn new and powerful ways to run your sprints better, (with reels and meetings), faster. It will not be just explanations and theory. During the Design Sprint Bootcamp, you will put your hand on the marker, attach post-it notes on the wall and more, while you will be guided through the entire 4-day DESIGN SPRINT process. There will be plenty of time for questions, curiosities and suggestions, which arise from the experiences of the facilitators and through significant cases. DESIGN SPRINT is the methodology developed at Google Venture, It's a "greatest hits" of business strategy, innovation, Behavior Science, Design thinking and more- packaged in a battle- tested process that any team can use. A Design Sprint is a 5-day process for rapidly solving big challenges/ Problem statements, creating new products, or improving existing ones. It compresses potentially months of work into a few days; it's a sort of recipe for team problem solving. In a DESIGN SPRINT, the team creates more alternative solutions, decides the best, then builds and tests realistic prototypes, all in less than just 5 days. Design Sprint is not implementation. It is an effective solution to validate the direction you want to follow for the development of a product or service. There are examples of excellent companies that have grown thanks to the use of DESIGN SPRINT. 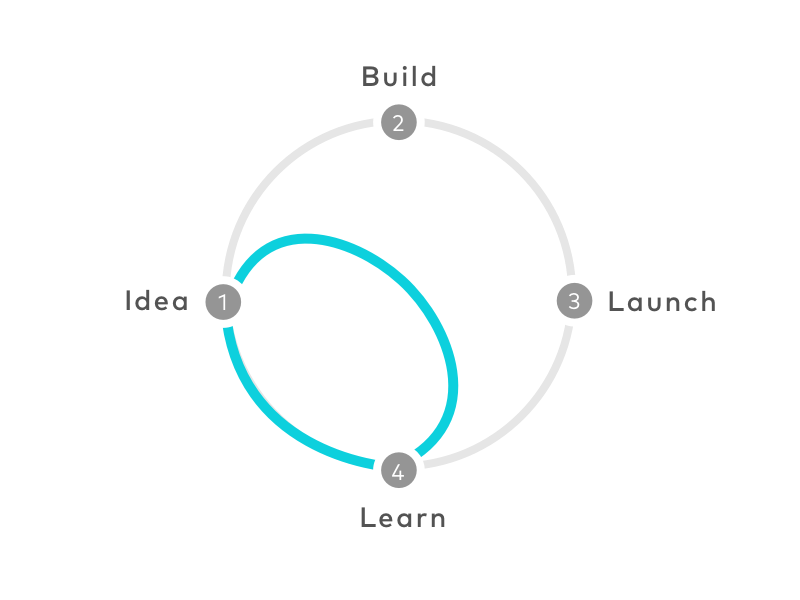 Anyone wishing to bring the Design Sprint process into their team, company or organization. Entrepreneurs and managers, who want to learn an effective method to improve the decision-making process, use the significant contribution of the team and take the risk safely on new ideas and significant innovations. Designers, marketing experts, developers to learn how to involve the various stakeholders in the design process without going crazy, quickly and directly validating ideas with customers. Facilitators, team leaders, sprint professionals who want to improve their facilitation skills and learn how to run sprints, workshops and meetings that make good use of time. For all the detailed information contact us. The teams have privileged access conditions, as well as those who participated to the one day workshop. What will happen over the next two days? © Copyright 2019 Gazelles Management Consultancy. All Rights Reserved.